With the national level management entrance exam, SNAP just a few months away, aspirants must have begun their preparation in full swing. Aspirants looking for admission to MBA courses at different affiliated institutes of Symbiosis International University must leave no stone unturned in their preparation for SNAP 2018. Having a moderate level of difficulty, the exam is not considered as tough as XAT or CAT. However, it is the General Awareness section in SNAP which plays a major role in adding to the difficulty level of the exam. In order to crack SNAP exam with 99 percentile, one has to develop a strategy for the same. And, to assist you in same, we have mentioned below 10 tips to score 99 percentile in the management entrance exam and the paper pattern as well. The exam is divided into the following 4 sections. Quantitative Data Interpretation & Data Sufficiency: Right from the beginning, SNAP exam focused on arithmetic questions. It covers the list of topics like Ratio and Proportion, Time and Work, Time and Distance, Mixture, Percentages, Profit, and Loss, etc. As far as other topics are concerned, data sufficiency has always been present in almost every SNAP exam held till yet. It has been observed that the questions related to data interpretation asked in the exam are fairly easy. An attempt of around 25 questions within 35-40 minutes will make you score higher. Tip: Revise NCERT math books of class 9 and make sure you practice questions from R S Aggarwal’s quantitative aptitude. General English: Generally speaking, it is considered as an easy section in SNAP exam. It includes grammar and vocabulary questions and short passages as well. Talking about the section, it includes following from different areas, including grammar, verbal reasoning and vocabulary. Make sure you have more focus on questions based on vocabulary. Keeping this in mind, you must learn words as many as possible. An attempt of 30 questions within 20 minutes will help you score higher. Tip: Read newspapers and books as many as you can. Also, learn and revise a minimum of 30 words daily with their usages. Analytical and Logical Reasoning: Coming to this section, it covers questions from different areas such as logical reasoning sets, critical reasoning, analogies, deductive logic, blood relations, visual reasoning, puzzles, etc. To get score more, one should target over 20 questions within half an hour. Tip: Make sure you practice using puzzle books. You can also benefit from reading R S Aggarwal’s reasoning book. General Awareness: In this section, the major areas include current affairs, static GK, brand and business GK. Make sure you focus more on new stories, sport events winners, awards and prizes in the last one year. It has been observed that this section has low cut-off than any other sections. Make sure you attempt all questions with certainty. An attempt of 20 questions within 8-10 minutes will help you score more. Tip: For GK, make sure you study from the following sources. • GK Digest-Mani Ram Aggarwal. Give time to basic concepts instead of Formulae: With respect to the analysis of past years, the number of questions is based on the core concepts of the topics. Hence, make sure you have all the basic concepts cleared & understood along with its respective applications. Do More Calculations: Needless to say, many logical reasoning and quantitative ability needs extensive calculations. Although, this year, the facility of the on-screen calculator has been introduced in CAT. However, it is preferable to practice calculations with the help of Vedic Math techniques for SNAP exam. Focus more on Algebra: The SNAP exam tests your ability to solve questions based on different topics, including Logarithms, Percentages, TSD, Profit & Loss, etc. Make sure you practice a range of questions in order to crack this section with a higher score. Choose Logical Reasoning and Analytical: SNAP usually includes questions from a range of topics including Venn Diagram, Coding-Decoding, Facts Inference Judgment, Cubes, Blood Relations, Double Line Distribution, Letter Series, Puzzles, Series And Verbal Analogy. This section is quite important as the weightage given to each question is twice the weightage of questions of other sections. Hence, it is advisable to focus more on this section in order to score more. Most Demanding Section- GK: Right from the beginning, general Knowledge & awareness has always been one of the challenging topics that require your much time. Since SNAP usually surprise students with its unique general knowledge questions, it is better to be prepared with the topics like current affairs with a focus on economics, business, awards politics, sports, and recent events. Give More Stress on Grammar: This section basically includes more vocabulary questions based on, antonyms, synonyms, idioms & phrase odd man out. If you are facing problems with this section, you need to focus on building a good vocabulary. Accuracy: While attempting any section, the most important aspect is to keep checking the accuracy as there will be negative marking system in place. Hence, make sure to attempt those questions which you are 100% sure of. Take Mock Test Daily: Make sure you take SNAP mocks at regular intervals as it the best way to monitor your performance. 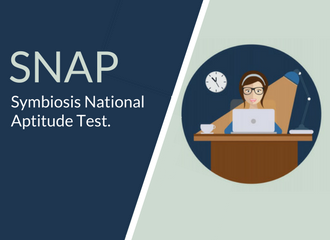 This will not only help to monitor your progress but also improve your SNAP exam score as it gives you a chance to focus more on your weaker sections. Solve Previous Years Papers: Although there are very fewer chances of getting repeated questions, your main objective is to be well versed with the SNAP 2018 exam pattern. Solving previous papers of SNAP will help you to get aware of the difficulty level, sections, time duration, etc. Time Management: The only way to get success for SNAP exam is the good selection of questions & time management, especially with respect to questions related to Logical Reasoning, Quantitative, Data Interpretation, and Analytical. You can score 99 percentile by upholding fundamental management principles like right prioritization, effective time management, a good approach to different sections and a perfect blend of accuracy and speed. Good luck!